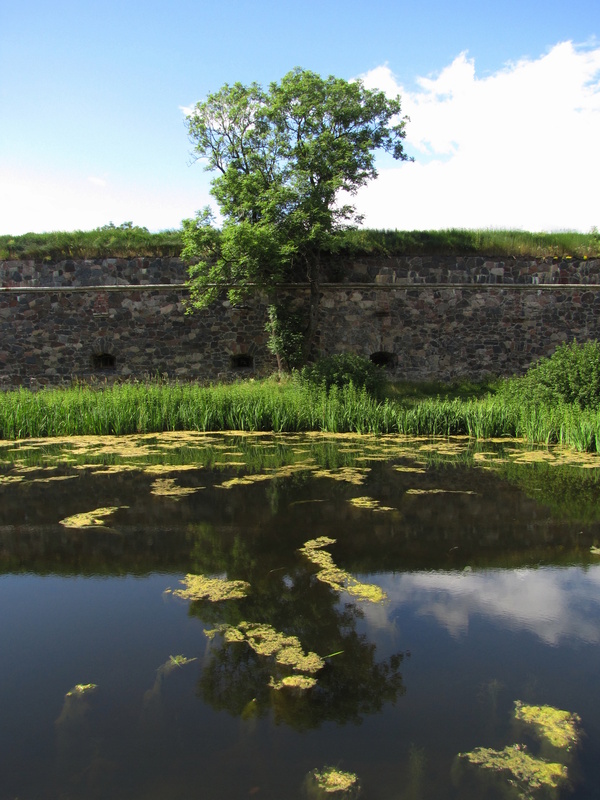 Suomenlinna, straddling six islands on what was once Swedish territory, is marked by a series of fortifications, built around 1748, that extend to the water’s edge. 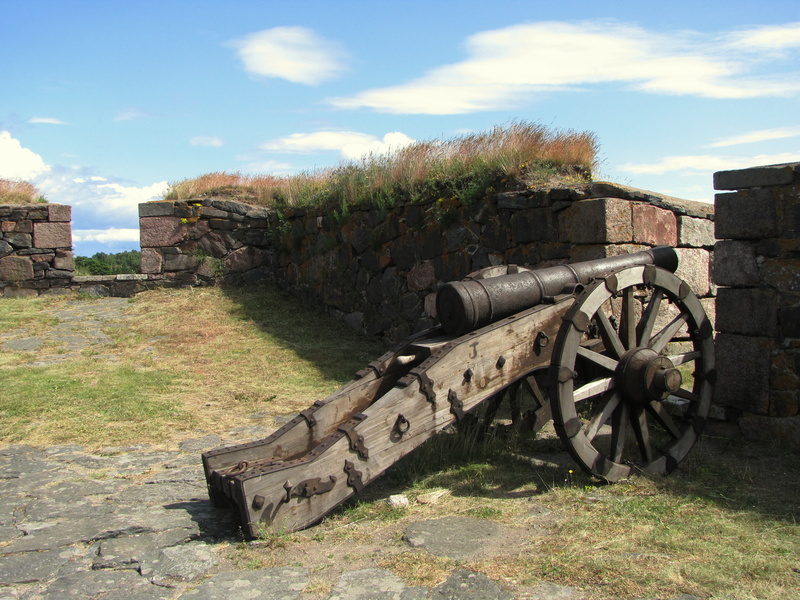 I love cannons, and while Suomenlinna has plenty, it still fell to Russian forces in 1808. 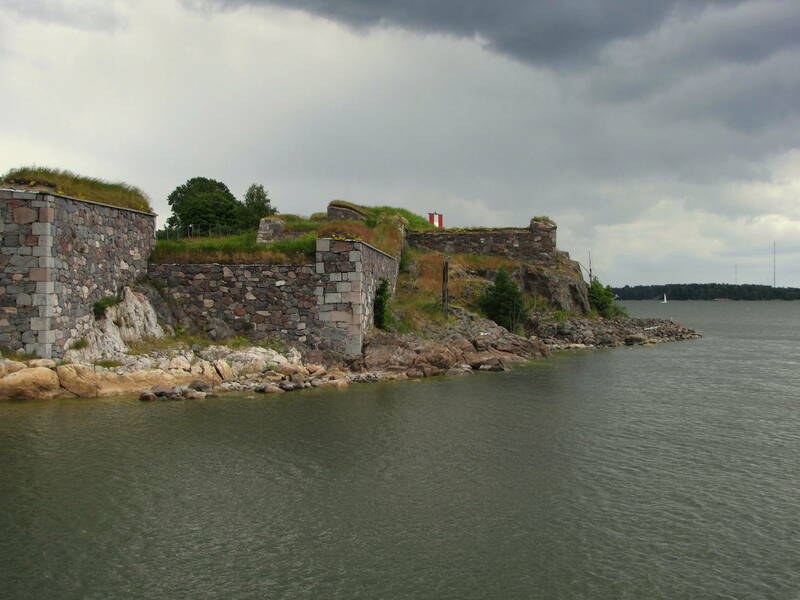 Unlike mainland Helsinki, Suomenlinna was directly governed by Russia, which spent its first administrative years expanding the complex’s ramparts. Eventual neglect, coupled with the Russian Revolution and Finnish independence in 1918, led to a literal change of ruling guard. 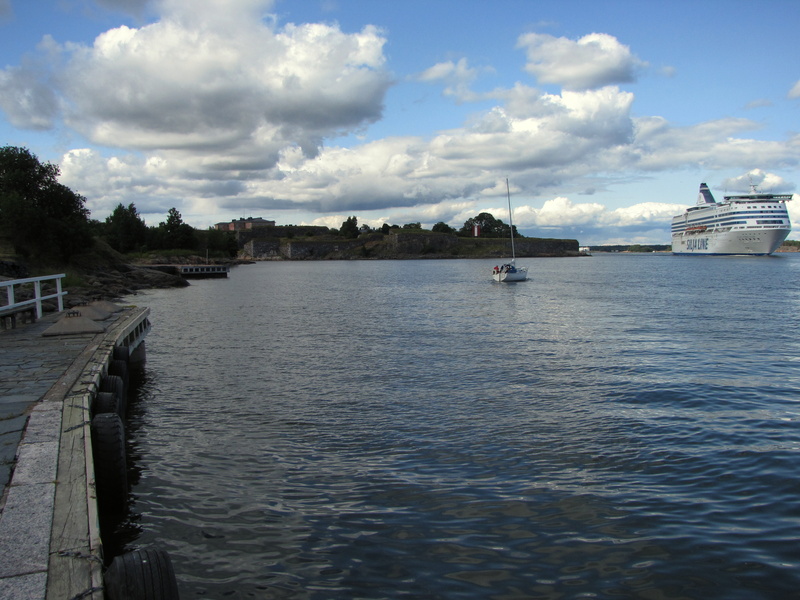 I took several pictures on the ferry ride to Suomenlinna. 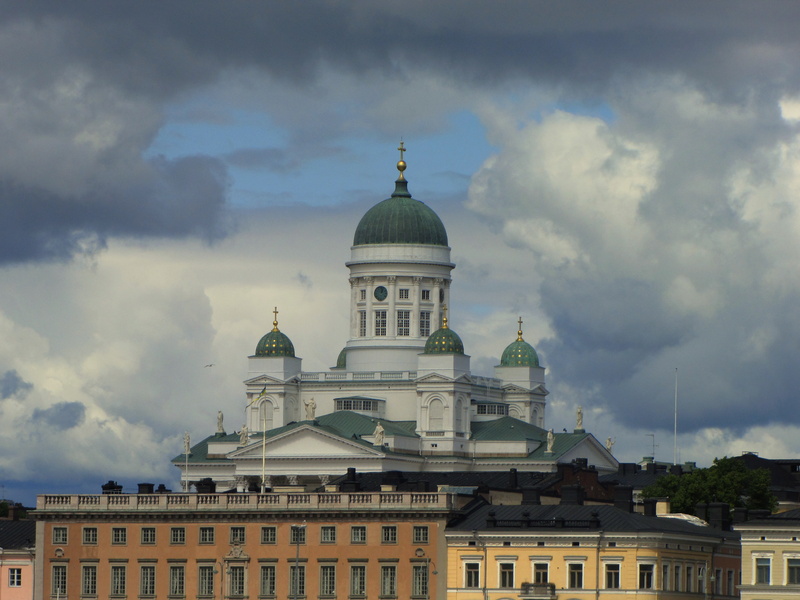 The picture above, which was heavily zoomed, is of the neoclassical, Evangelical Lutheran Helsinki Cathedral. 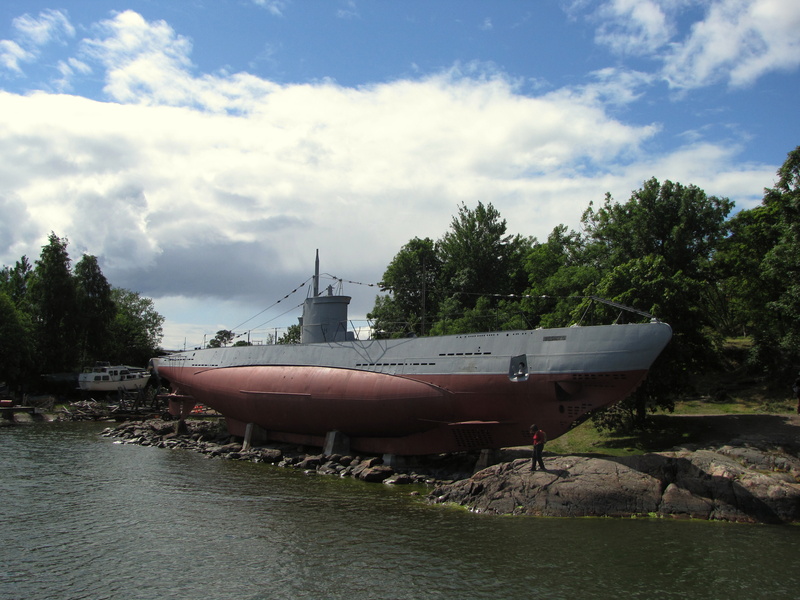 The ferry passed closed to Vessiko, a WWII-era submarine and one of six museums on the grounds. During the summer months, a combination ticket can be purchased that grants entry to all six museums. 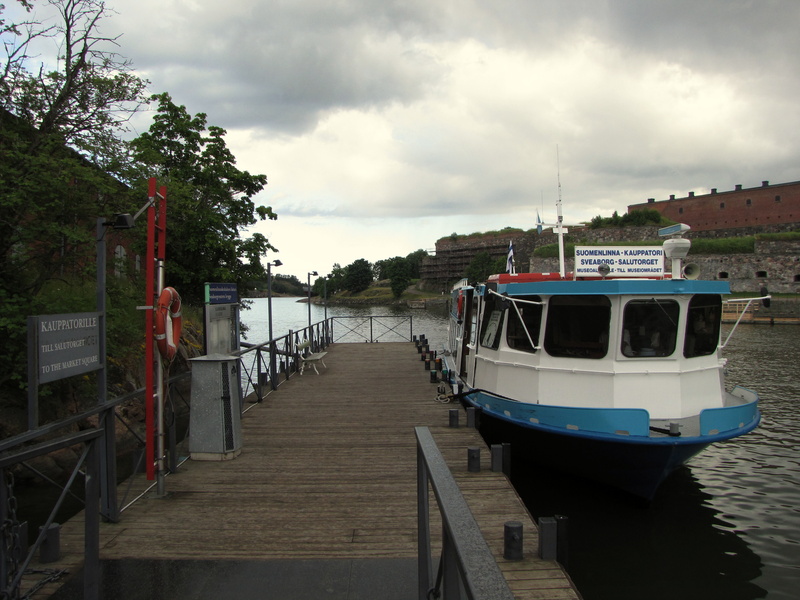 The ferry dock itself. The fortifications and ominous buildings in the background give this image a sort of “Alcatraz” vibe. 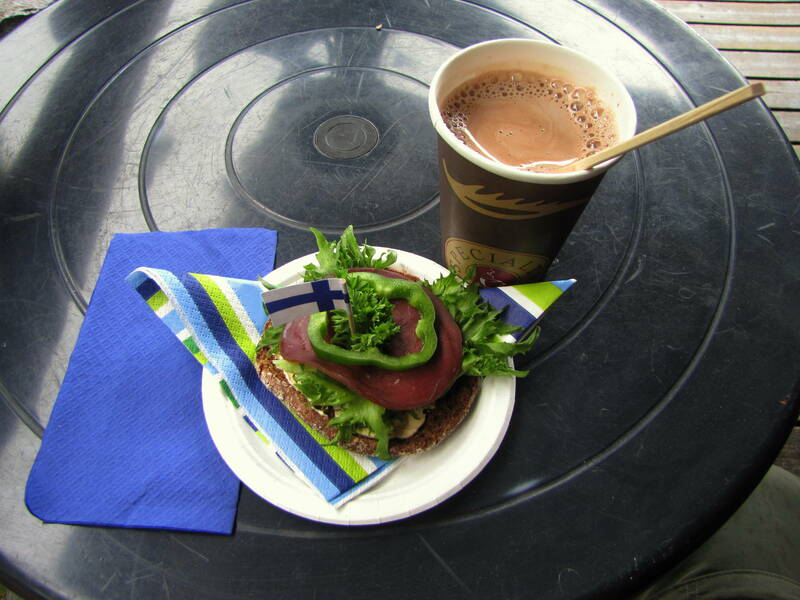 Lunch at a small cafe behind the submarine: reindeer sandwich and hot chocolate! Suomenlinna, a UNESCO World Heritage Site, acts as a de facto nature preserve, home to several species of birds, including gulls, geese, and – I’m told – even the occasional puffin. I imagine that they would find the above marshland, protected from wind by fortress walls, idyllic. 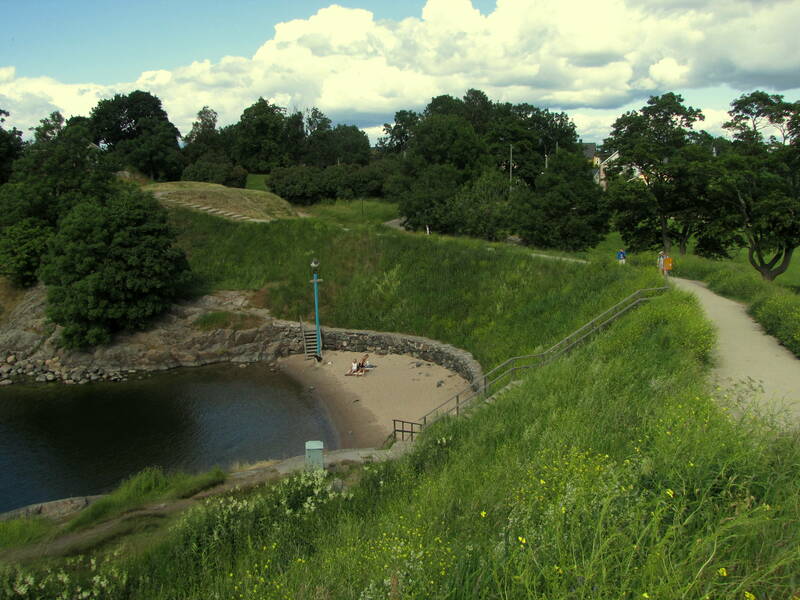 Most of the shoreline is either rocky or fortified, but there are a couple of small coves, such as this one above, that make for popular picnicking and sunbathing spots. 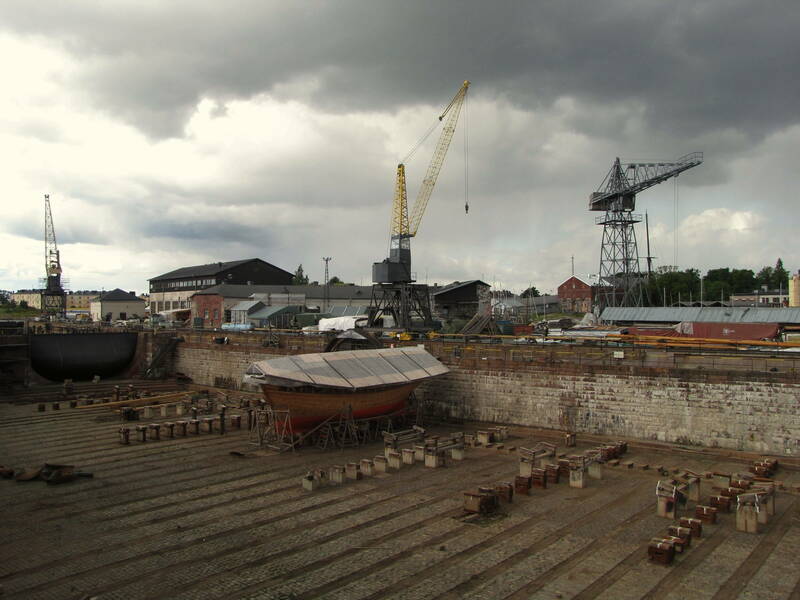 Suomenlinna Dry Dock, built by the Swedes for their Navy and expanded upon by the Russians. Also notice the darkening sky versus the bluer sky from the previous pics; Finland is one of those places where – to borrow an expression that is attributed to Mark Twain – if you don’t like the weather, wait five minutes. 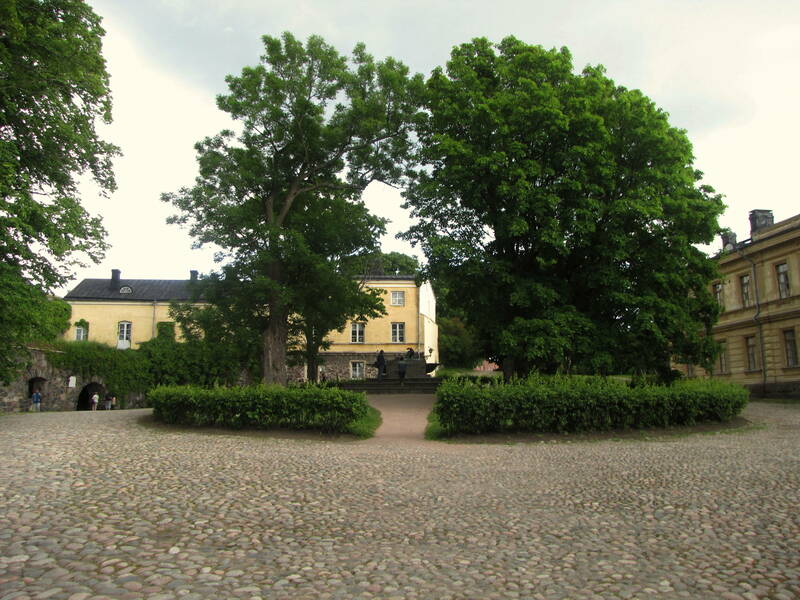 If you are wondering, Suomenlinna means “Castle of Finland,” and indeed includes one such place, its courtyard shown above, a literal stone’s throw from the dry dock. …almost close enough to touch. 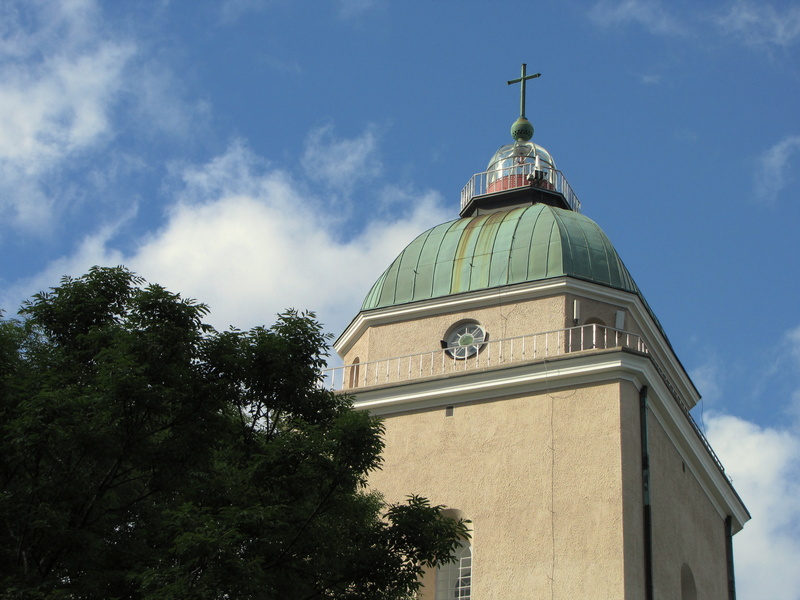 I spent the last hour strolling around an industrialized section of Suomenlinna that featured a smattering of buildings ranging from an onion-domed church (pictured above) to a hostel to a brewery to a minimum security prison. The prison’s outside walls: an unlocked picket fence! 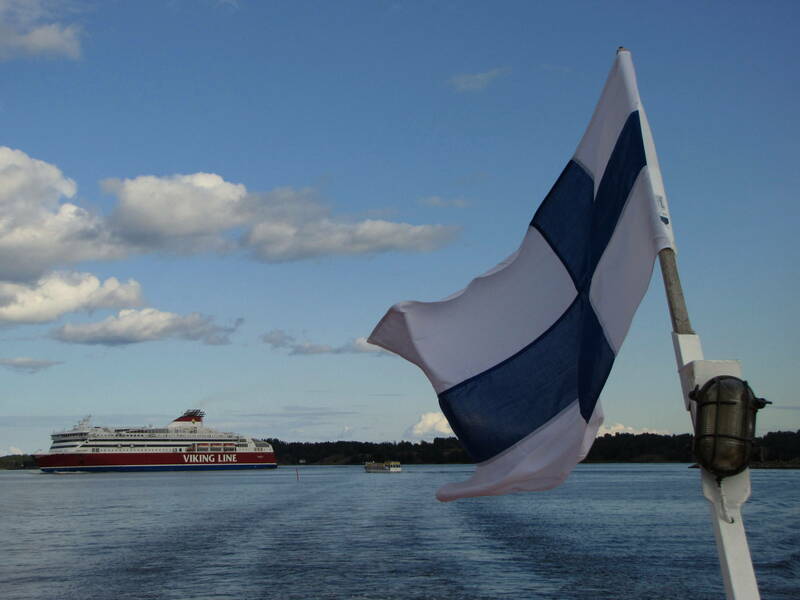 Last boat of the day back to Helsinki. 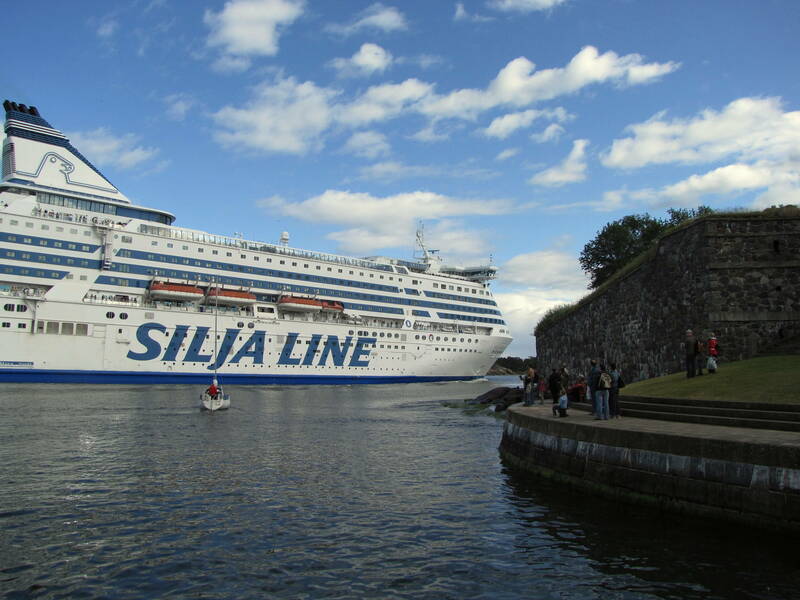 Many visitors to Finland’s capital never make it to Suomenlinna. While that is their right, frankly, they are missing out. Rough crossing or not, the 15-minute ferry ride is worth it.